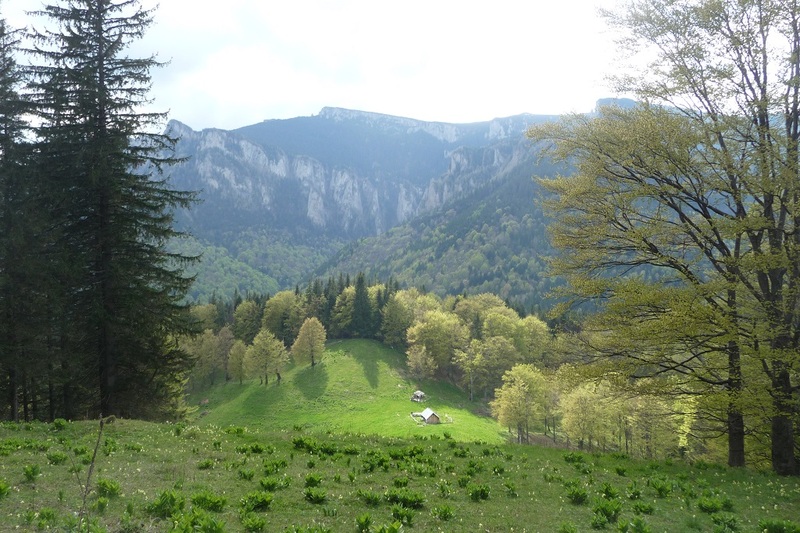 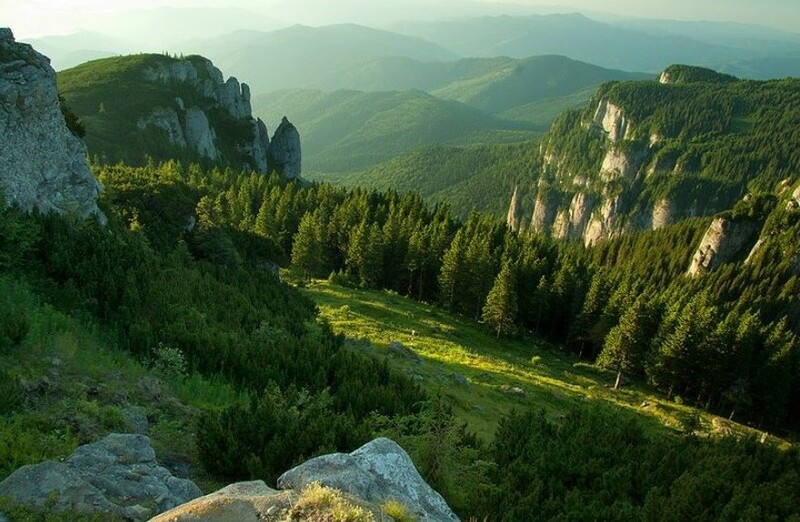 “The giant immersed in the rays of the sun” as described in the famous poem “Summer” by George Coşbuc, Ceahlău Mountain is a very special place which many Romanian and foreign writers have spoken about. 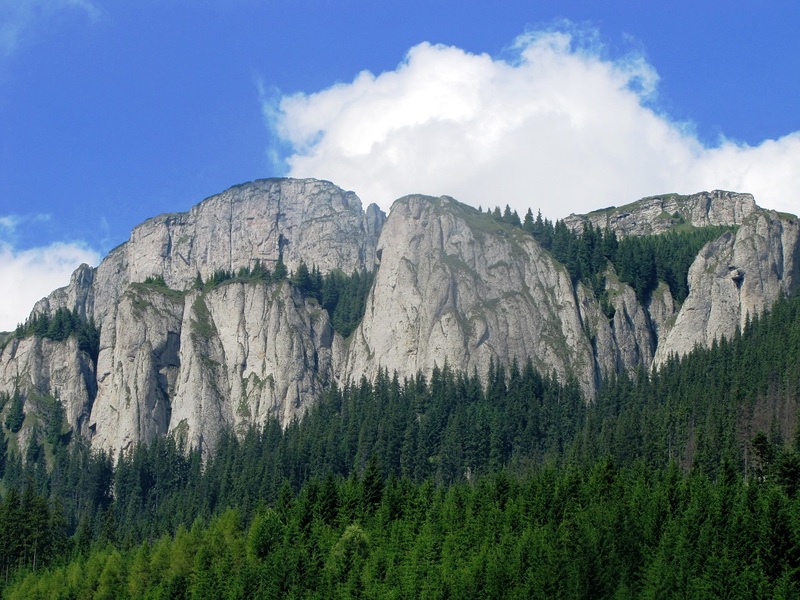 This “gemstone” of Moldavia, as Dimitrie Cantemir called it in his famous Latin writing “Descriptio Moldaviae” from 1716, Ceahlău Mountain is situated in the middle of the Oriental Carpathians, in the western part of Neamţ County, at the crossroad of the most important transcarpathian routes. 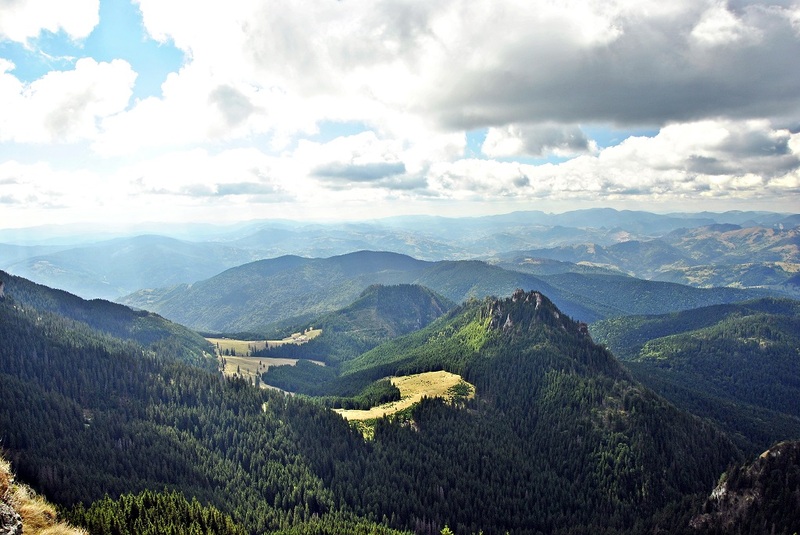 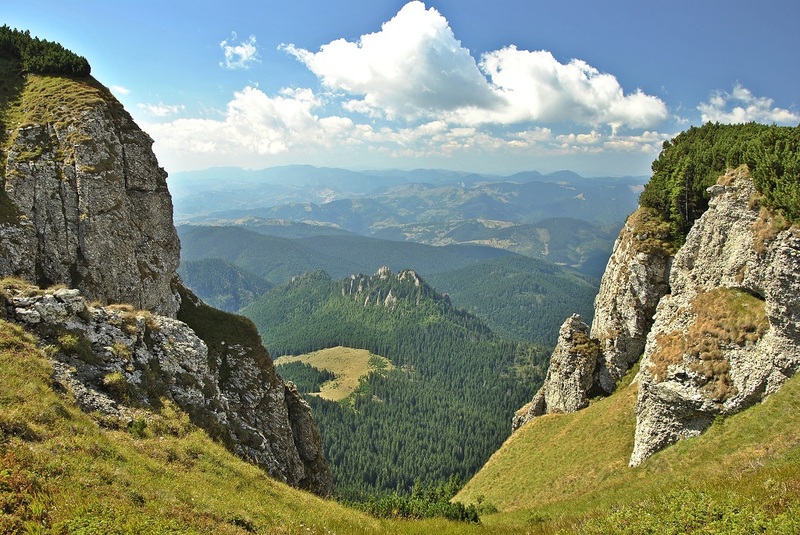 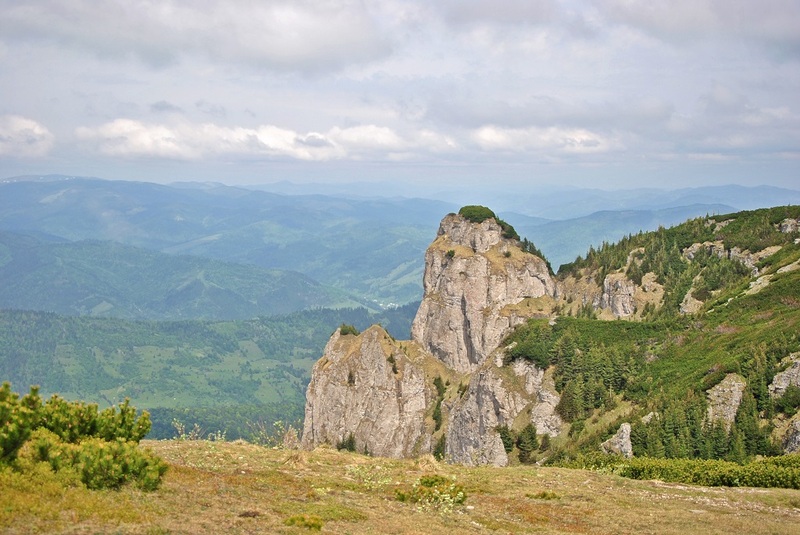 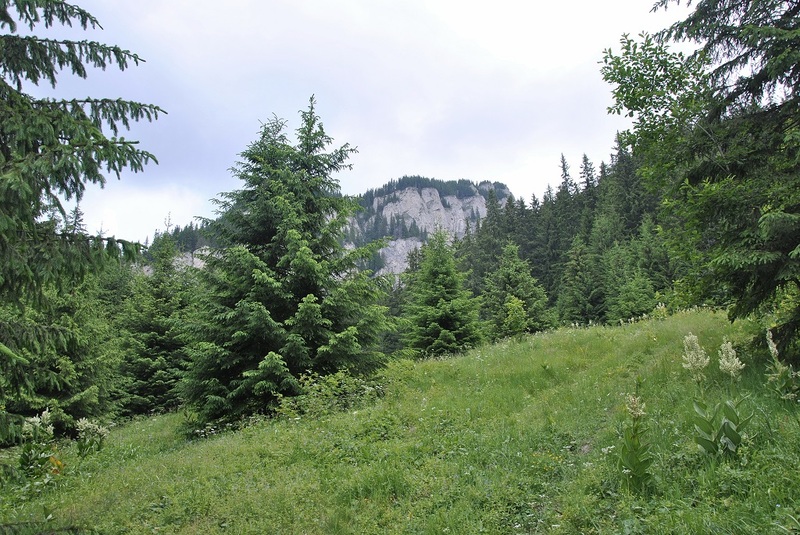 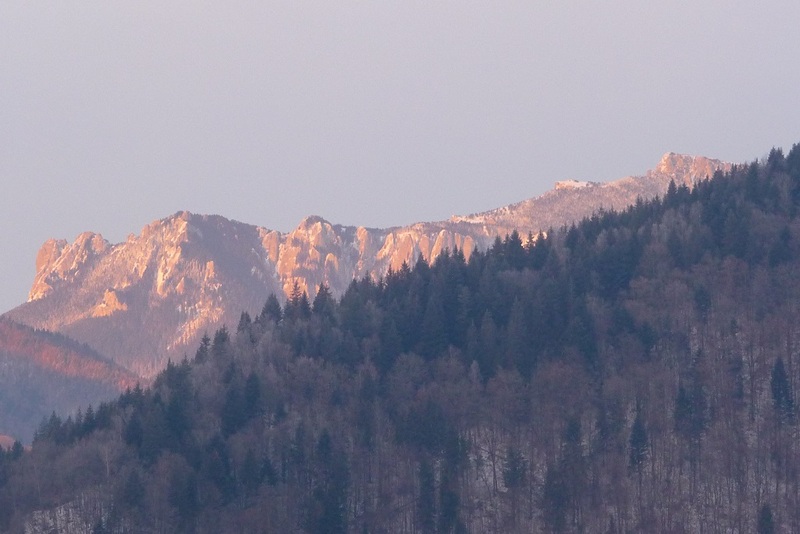 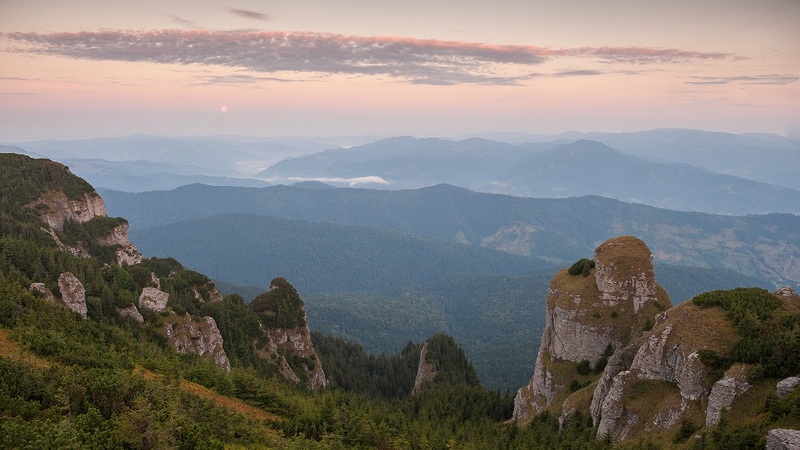 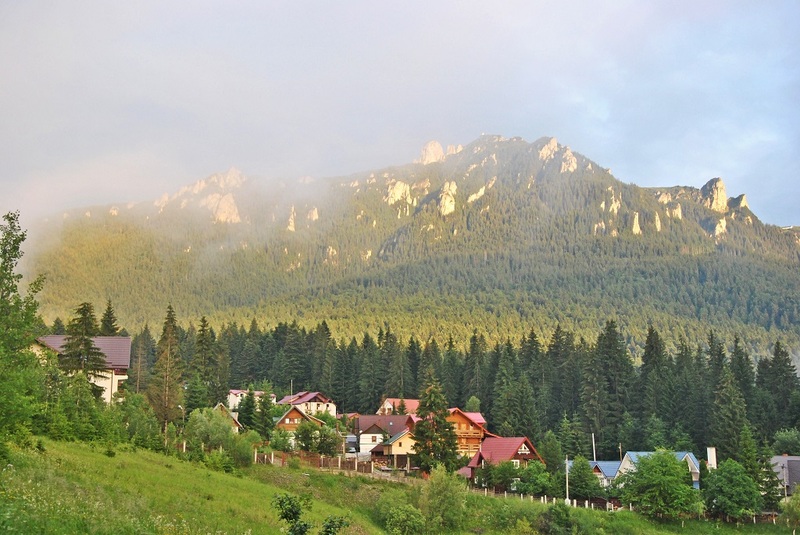 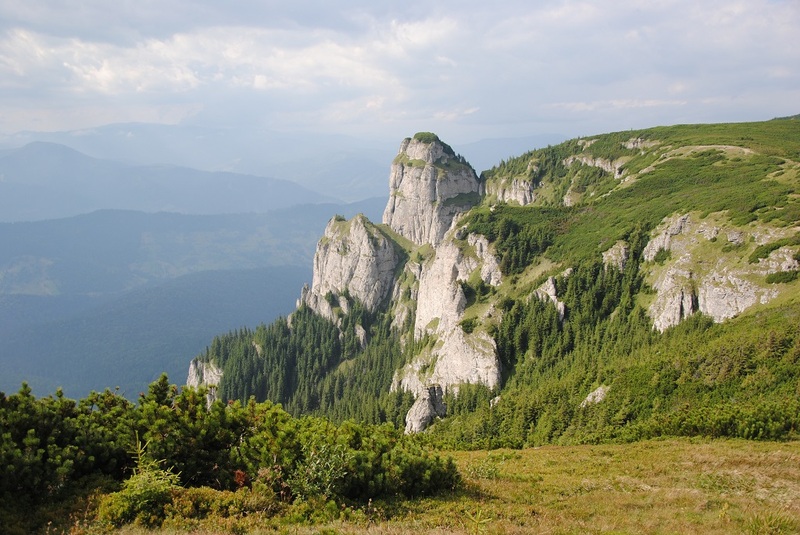 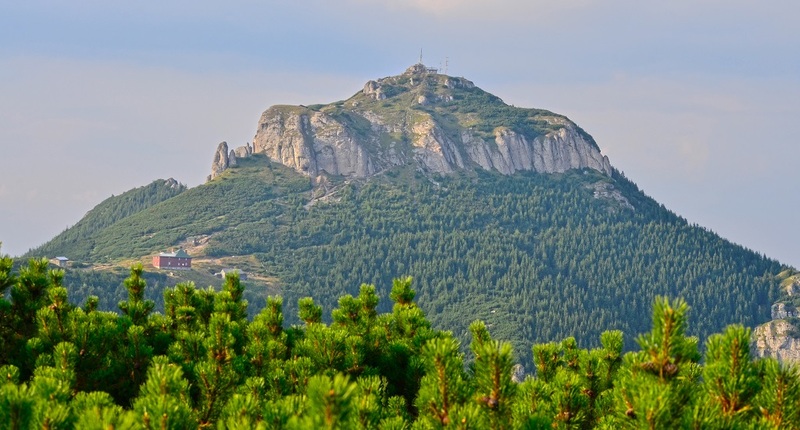 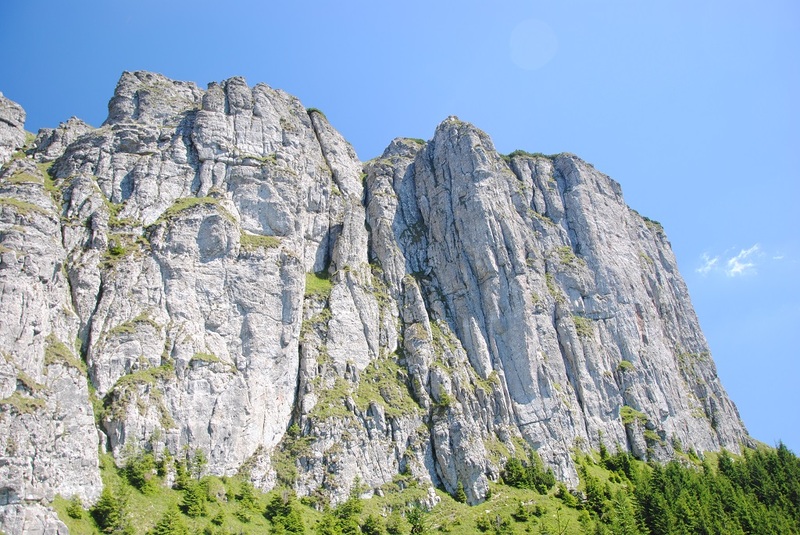 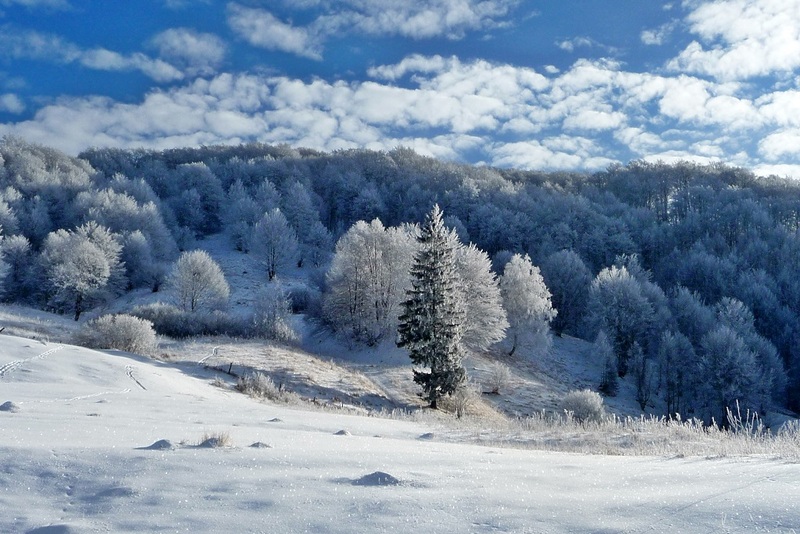 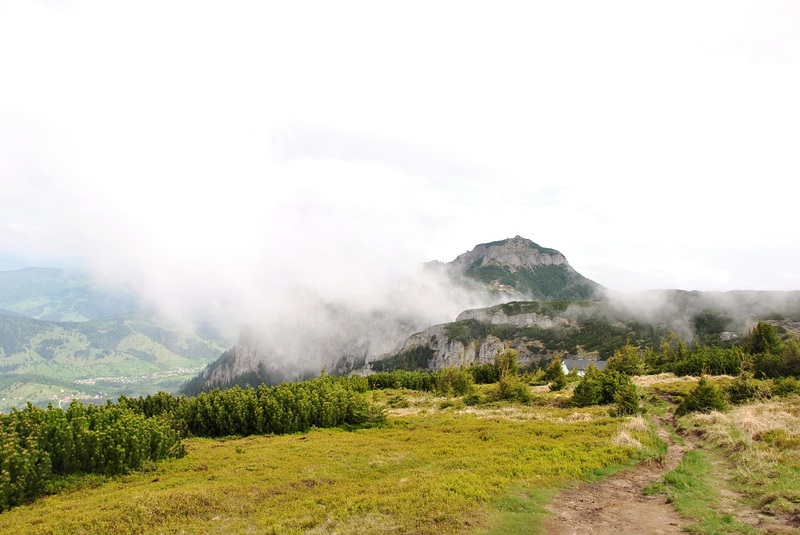 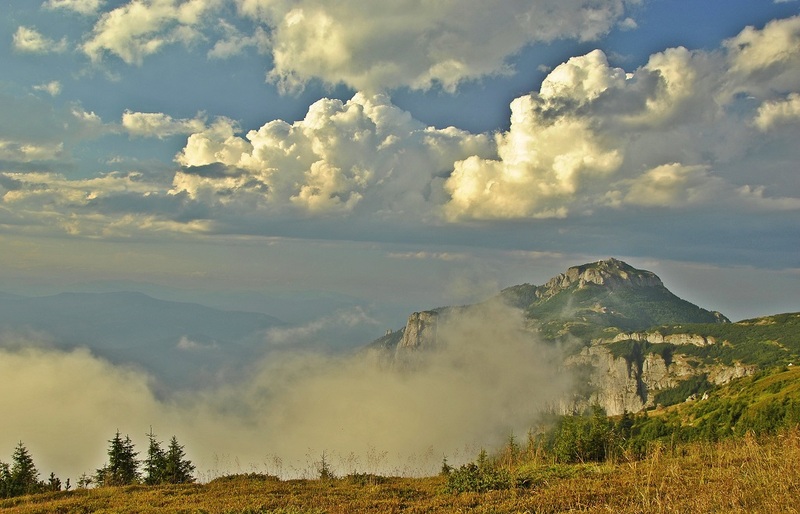 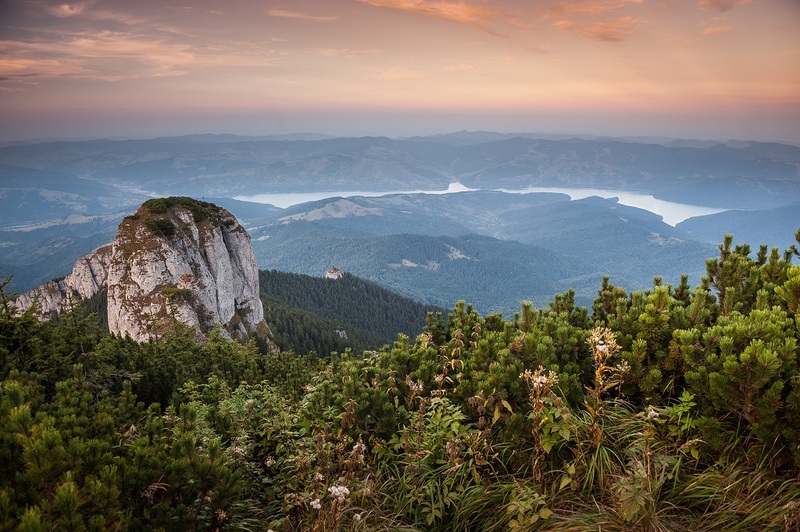 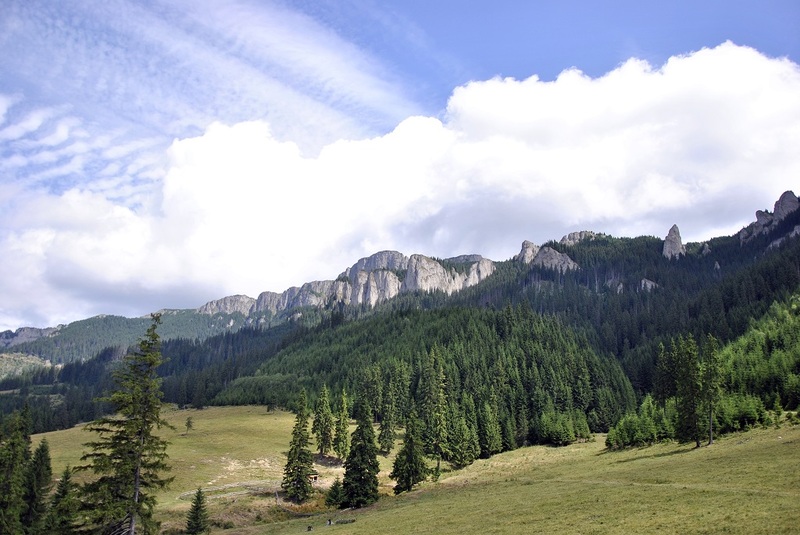 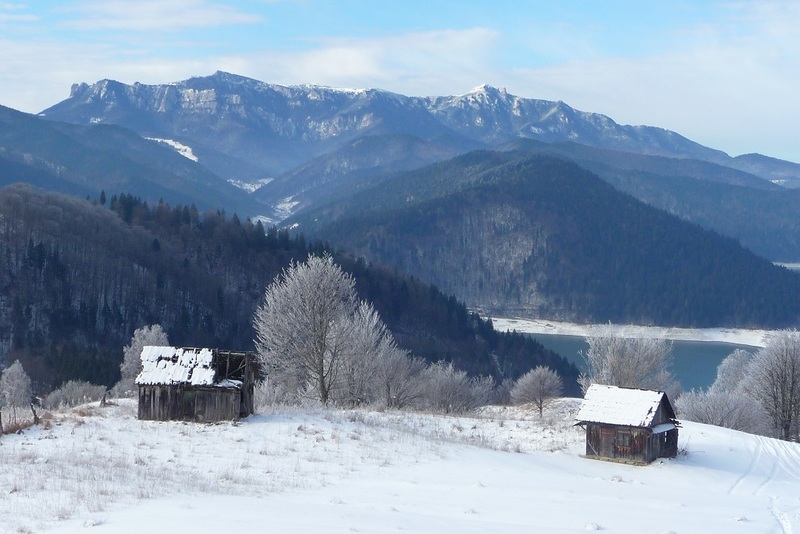 Ceahlău Mountain is full of history, spirituality, legends and mystery. 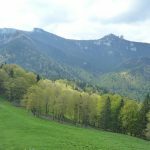 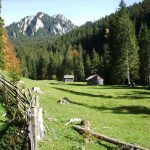 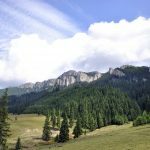 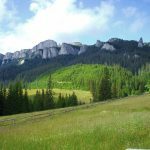 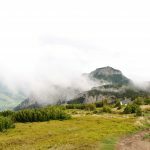 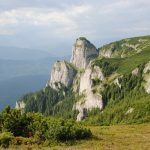 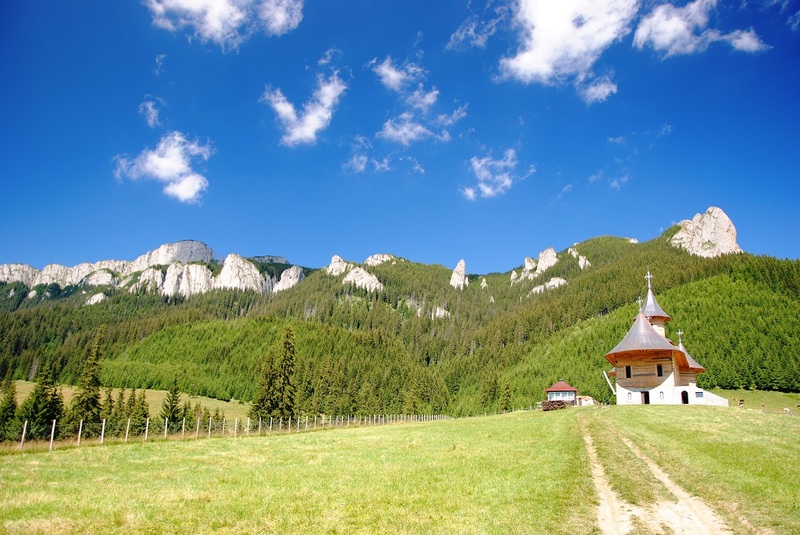 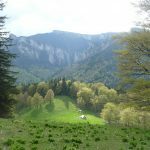 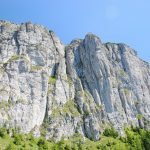 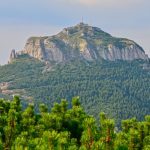 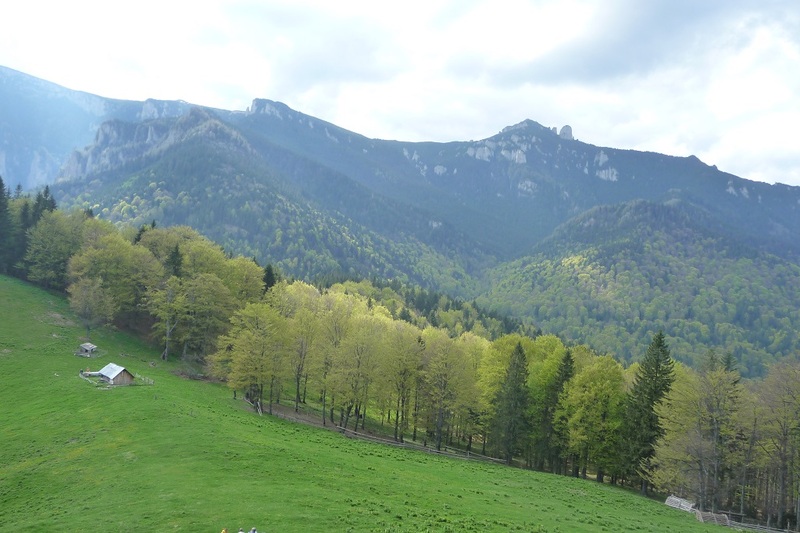 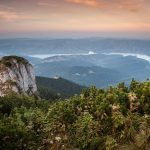 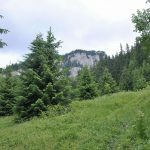 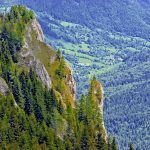 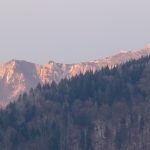 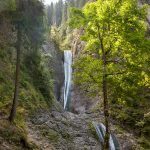 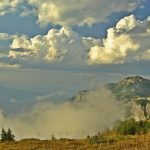 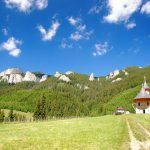 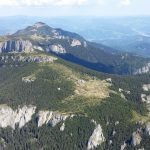 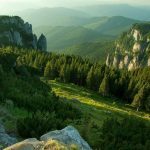 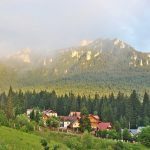 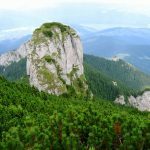 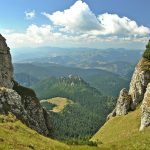 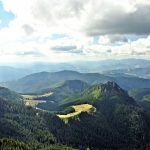 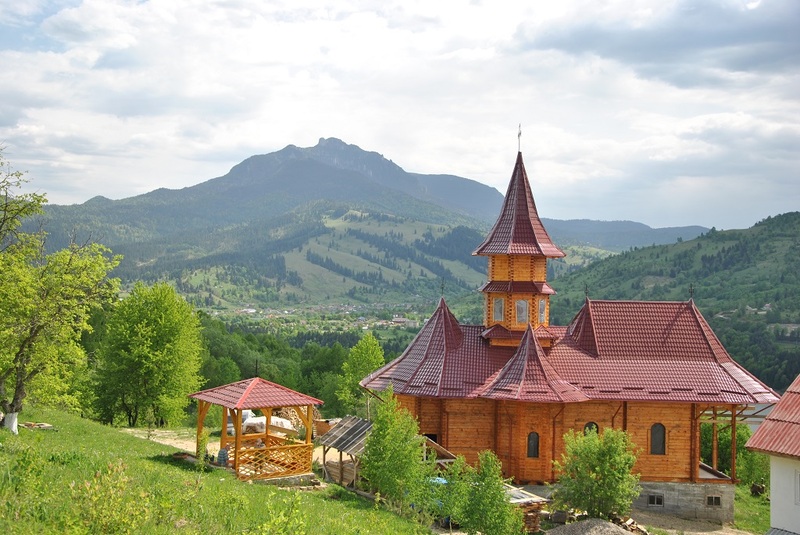 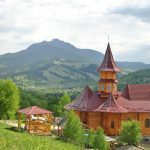 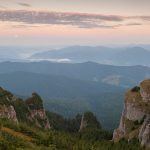 It is the place where many hermits have worked on their spiritual ascension, Ceahlău Mountain being the only holy mountain in Romania, having its Dedication Day on August the 6th, when Christians around the world celebrate the Transfiguration of Jesus Christ. 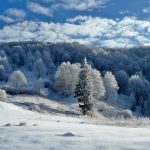 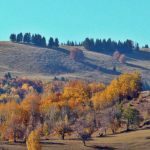 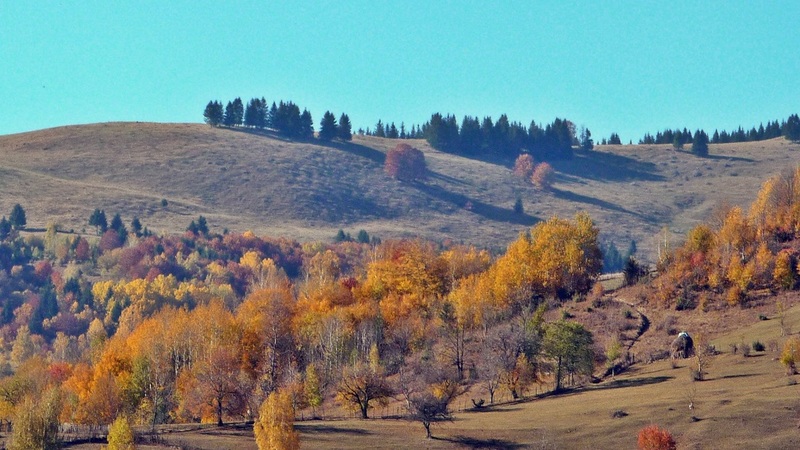 Accessible at any time of the year, Ceahlău Mountain is yet different in each season, displaying a symphony of colors and magnificent landscapes that delight the soul and mesmerize the eyes, standing as an impressive and ageless outdoor museum with unique exhibits. 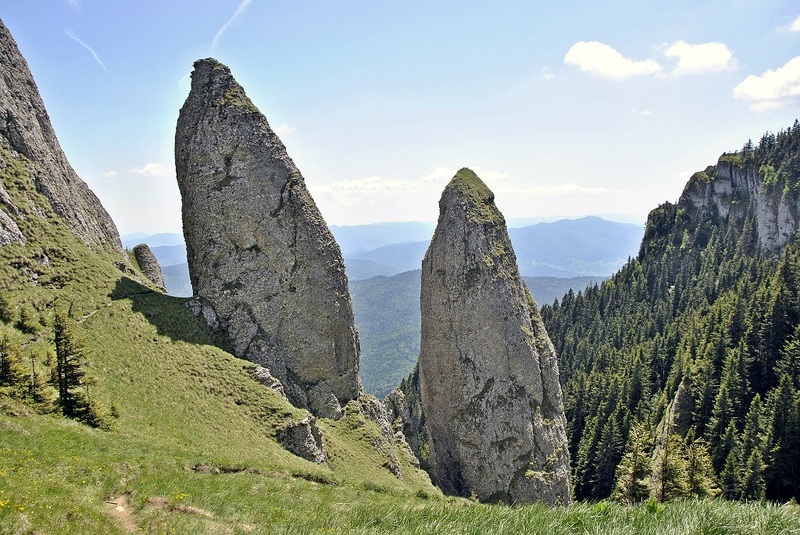 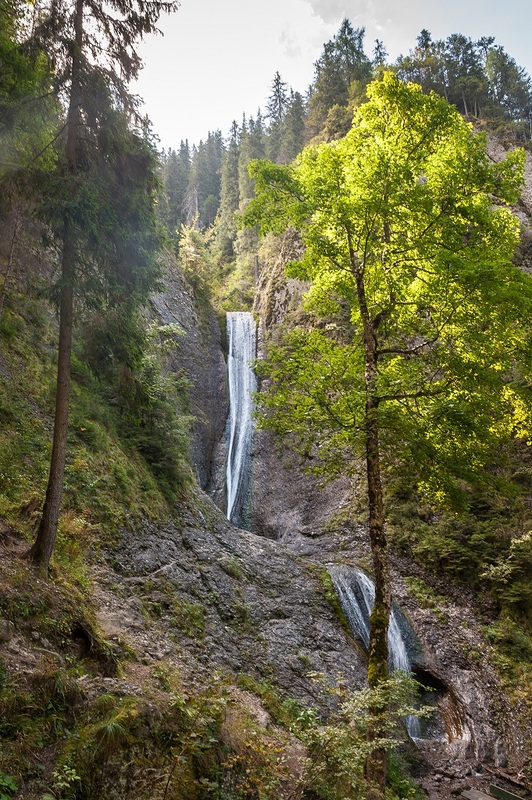 Strange as it may seem, almost every rock, stream or secret passage in Ceahlău Mountain has a story of its own. 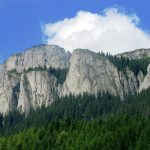 Thus, Dochia, Panaghia, Toaca, Dorobanțul, The Monks (Călugării), The Weeeping Stone (Piatra Lăcrimată), Butu and Ana Towers (Turnurile lui Butu și Ana) or Detunatele are stone blocks with spectacular shapes enveloped in beautiful ballads and legends which, over time, were collected by famous writers as Alecu Russo, Gheorghe Asachi or Calistrat Hogaş or transmitted by word of mouth by mountain lovers and people of these places. 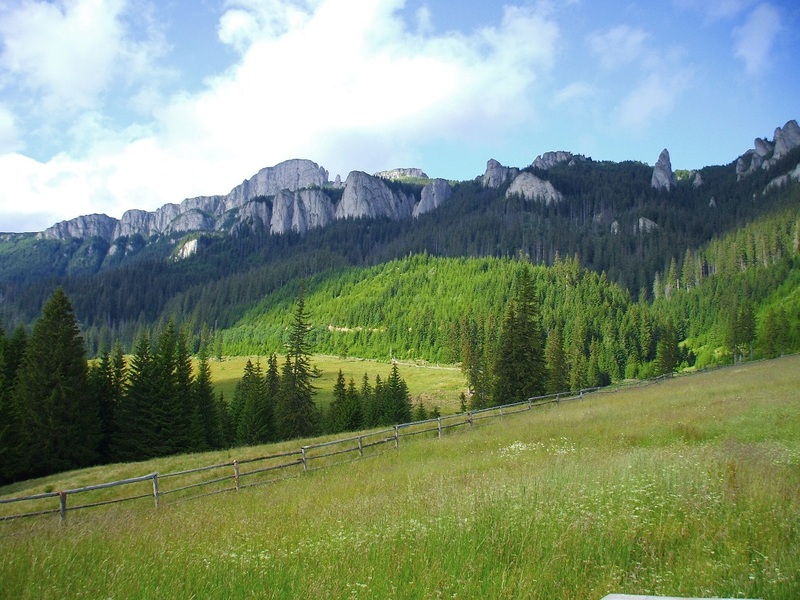 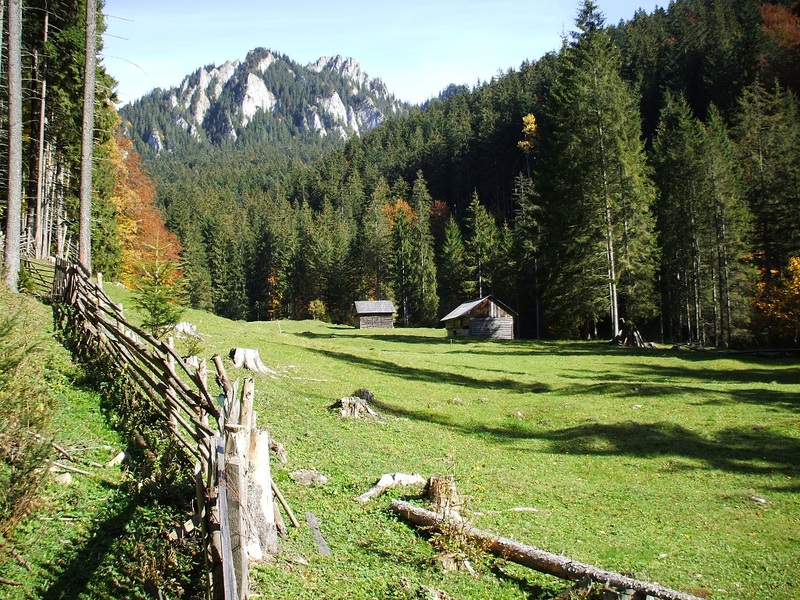 Dominating the surrounding mountains and also due to its singularity, which allows a great visibility from the distance, with its pyramid-like shape, Ceahlău Mountain can be seen from many parts of both Moldavia and Transylvania. 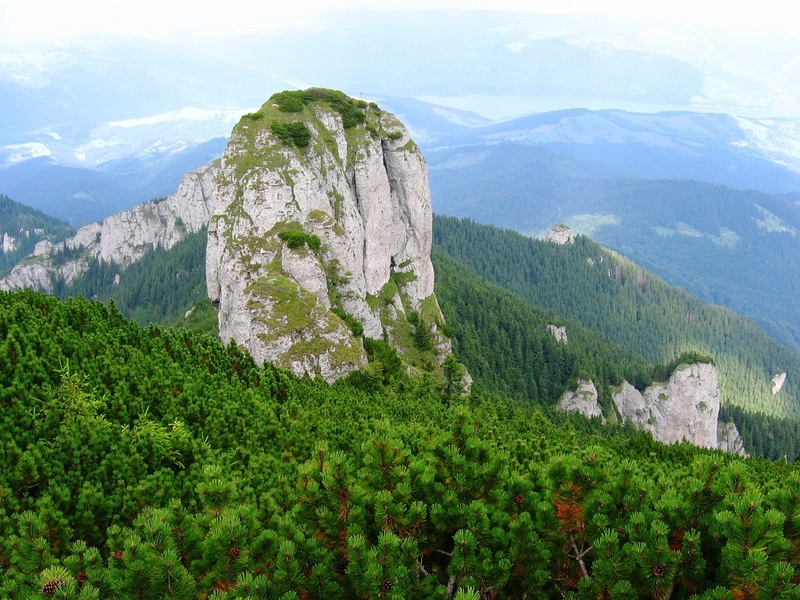 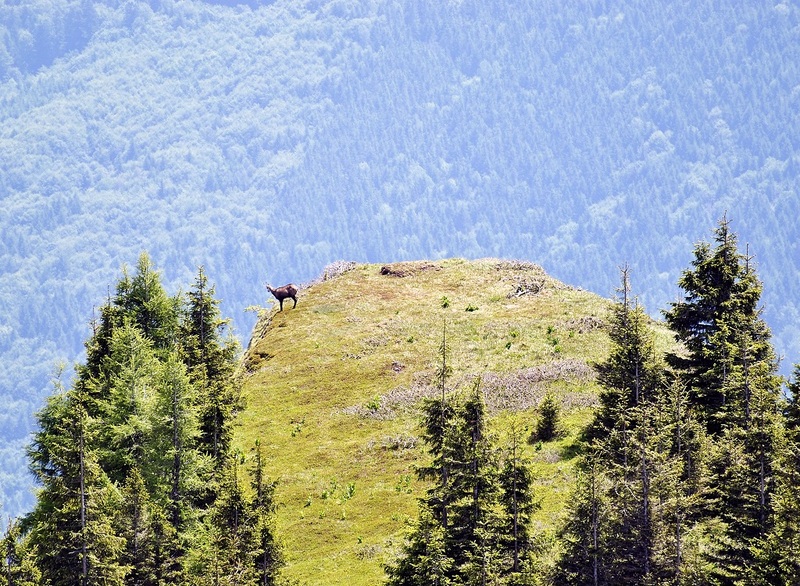 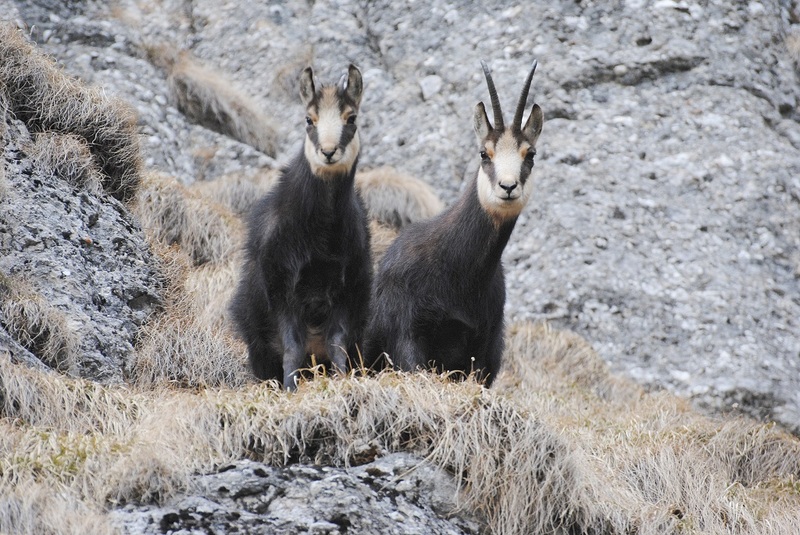 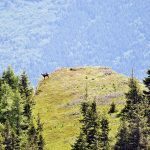 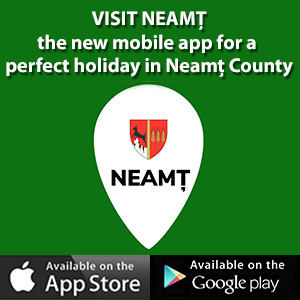 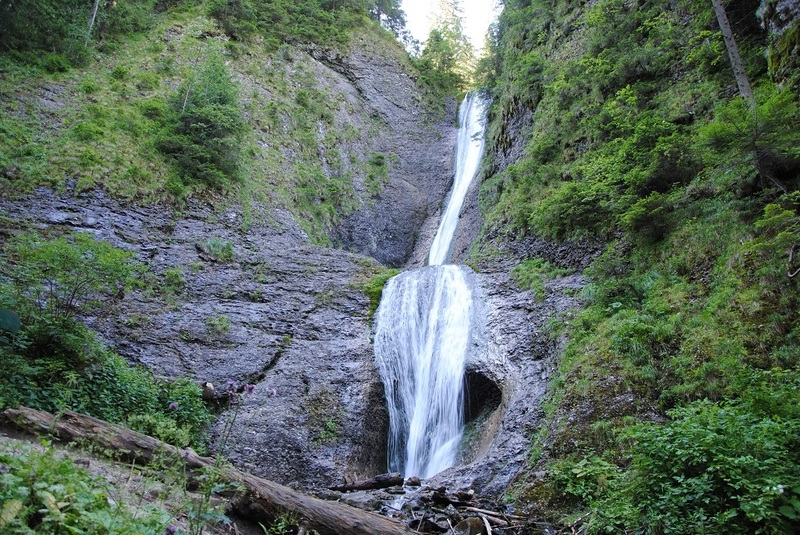 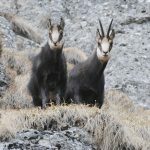 There are 7 certified hiking trails among which tourists can choose to reach the top of the mountain. 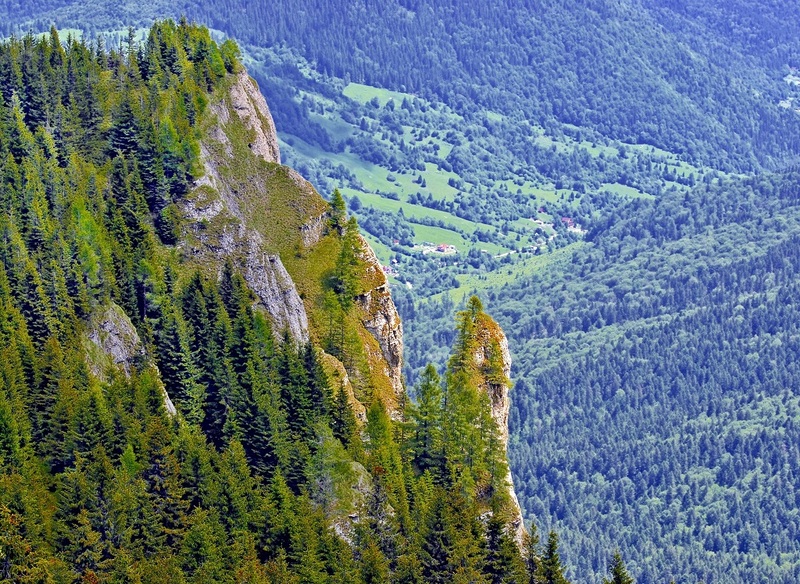 Truly a natural fortress, Ceahlău Massif consists of large ancient forests, alpine meadows, gentle slopes and rocky cliffs, gutters and bricks, clear mountain streams, waterfalls, high peaks and isolated cliffs, natural monuments and nature reserves, as well as architectural monuments, such as Durău Monastery. 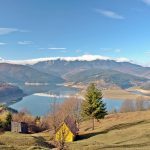 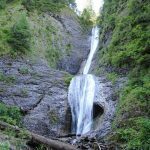 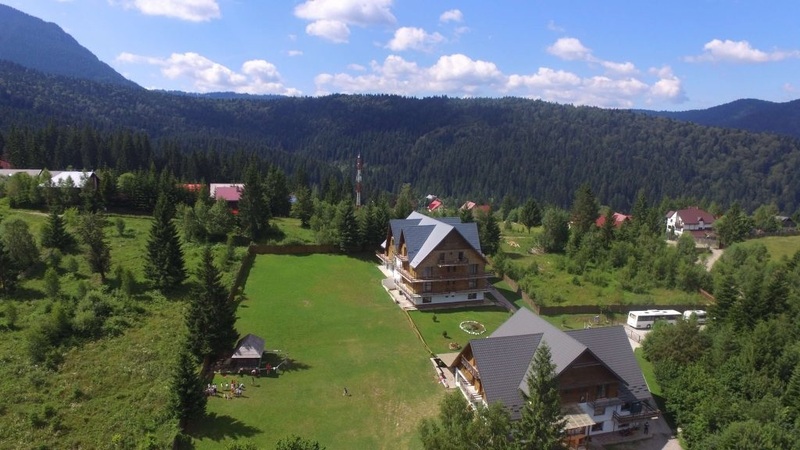 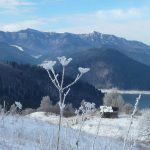 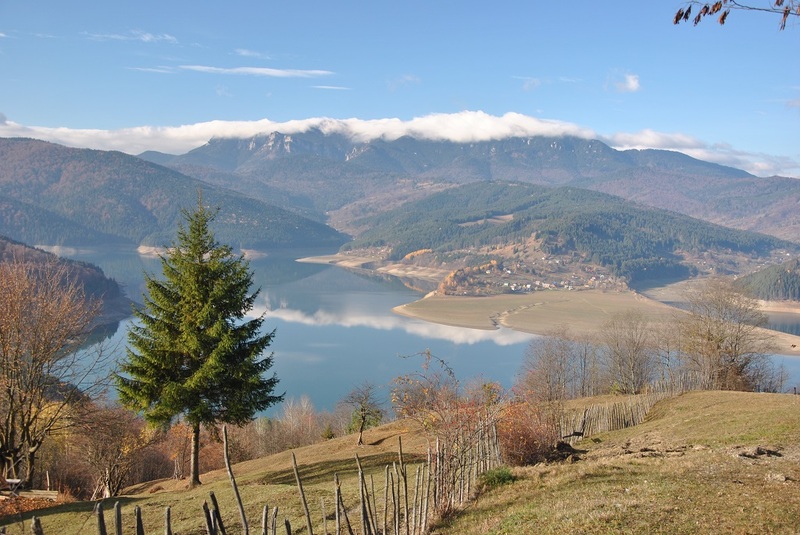 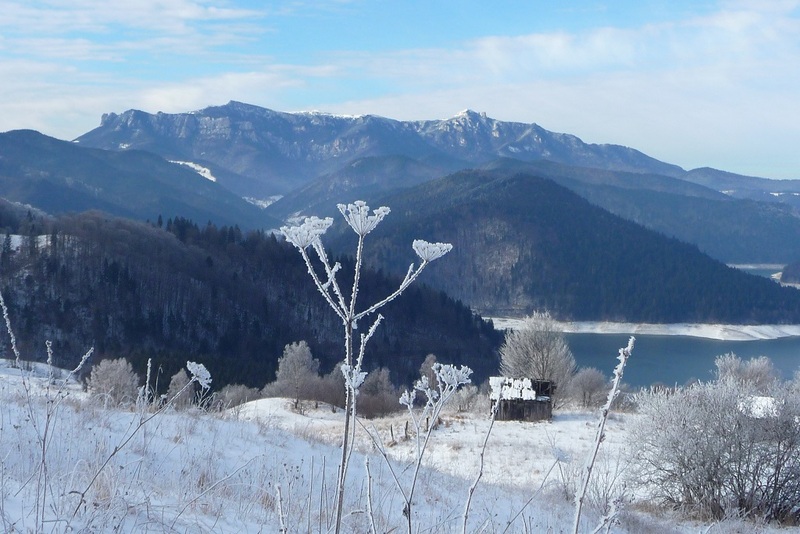 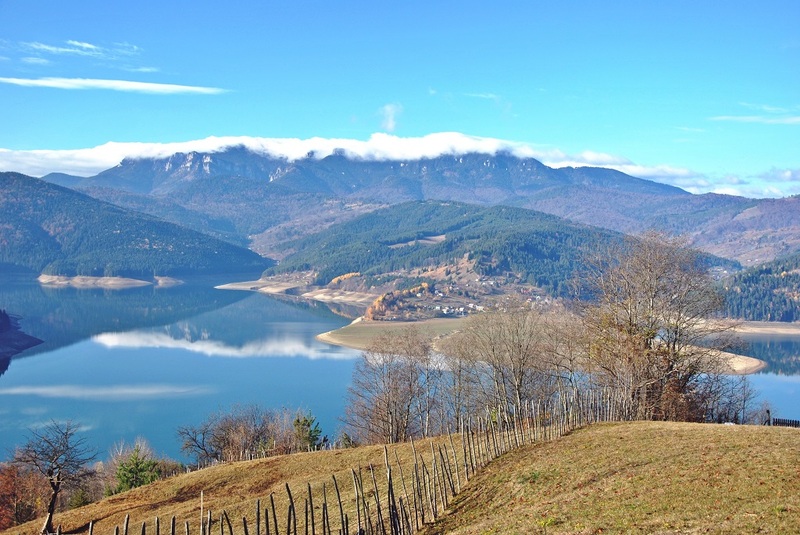 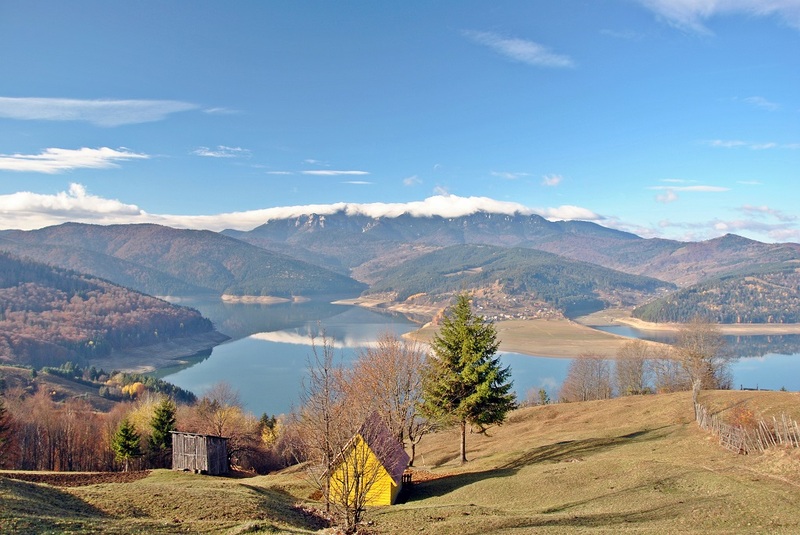 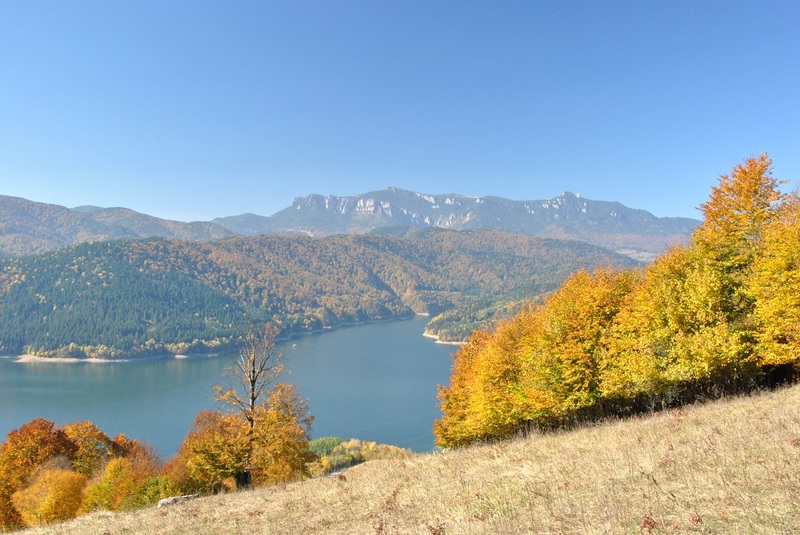 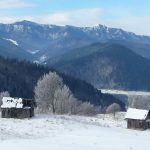 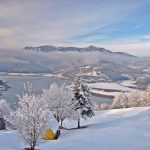 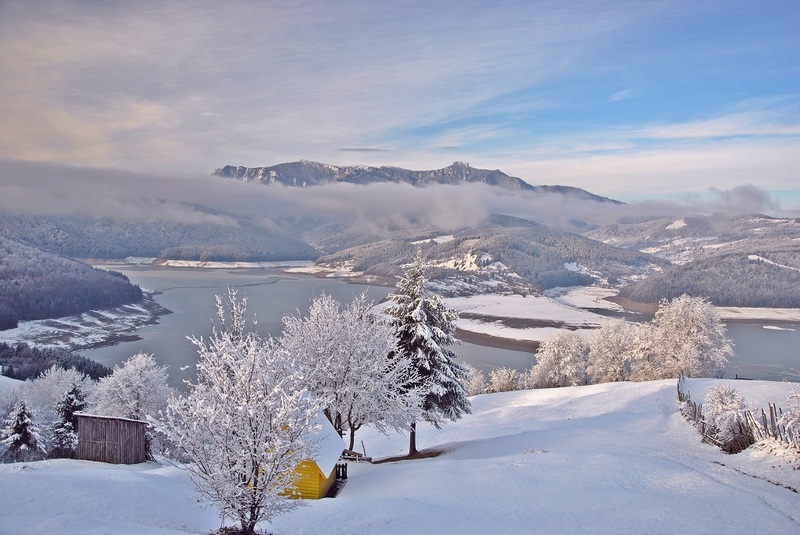 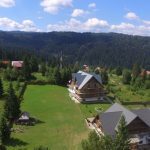 Among all these spectacular natural beauties, Izvorul Muntelui Lake and Durău Resort, both situated at the foothill of the mountain, complete the picturesque of the places, adding to the tourist fame of Ceahlău Mountain. 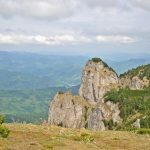 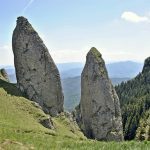 Ceahlău Mountain is known by many names: the Olimp of Moldavia, the Holy Mountain of the Dacians, also called Kogaion or Zamolxe’s altar, is the only holy mountain in Romania and the second holy mountain of the Orthodox Christianity after Mount Athos. 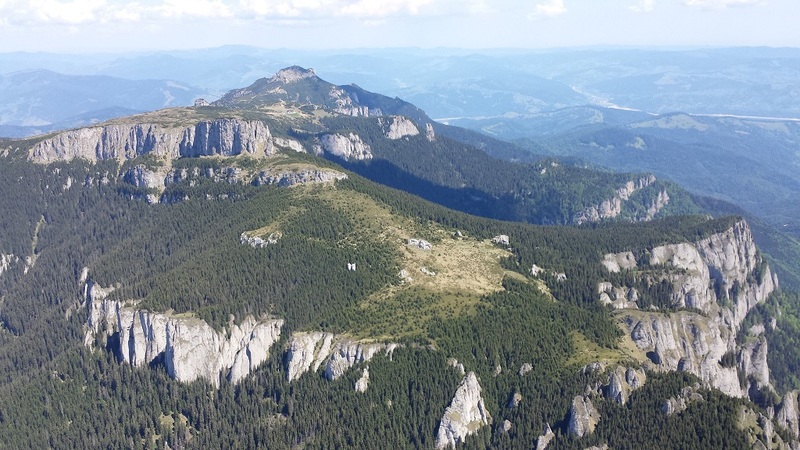 Ceahlău Massif is also the only place in the world where two peculiar phenomena occur: the Holographic Pyramid and the Stairway to Heaven (the Sacred Way), both phenomena happening right around the 6th of August, its Dedication Day of the mountain.